Hi everyone. I’m finally getting up to the point were all of the infantry for my initial army list is complete, woo hoo! With only five marines left to go, I thought I had better make this update before I begin with the exciting part of the army (to me anyway), the vehicles and dreadnoughts. 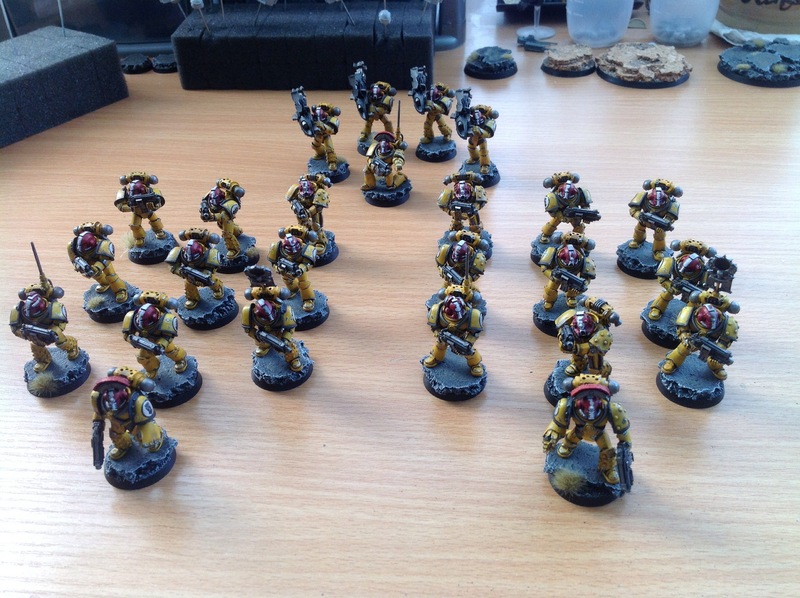 First up, a shot of two tactical squads and a heavy support squad. And here’s one of the last squad, half done. 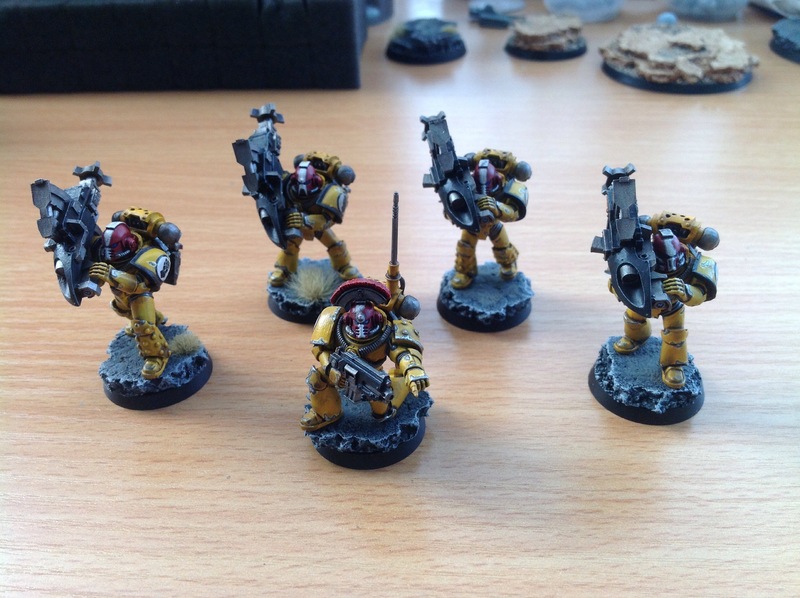 A close up of the heavy support squad. So, with these under my belt it’s time to look at what’s next. I squeezed in a trip to Warhammer World last week and grabbed another Contemptor dreadnought and two Legion Whirlwind Scorpius. 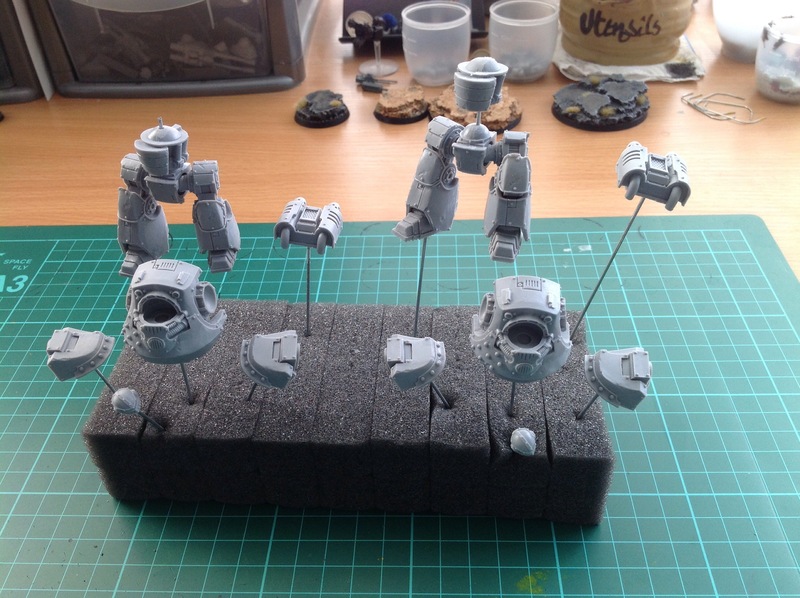 Everything is washed, and the Contemptor Dreadnoughts (I already had one) are ready for undercoat. Hopefully I can get these two mostly complete by the weekend. Thanks again for looking, see you soon. Previous Previous post: Re-creating battle damage. Next Next post: I live to serve. The grey bases really make your models stand out. Good job. Wow – these are cracking! I’m not usually a big fan of the Fists, they often come out looking a little garish and silly but these are excellent. 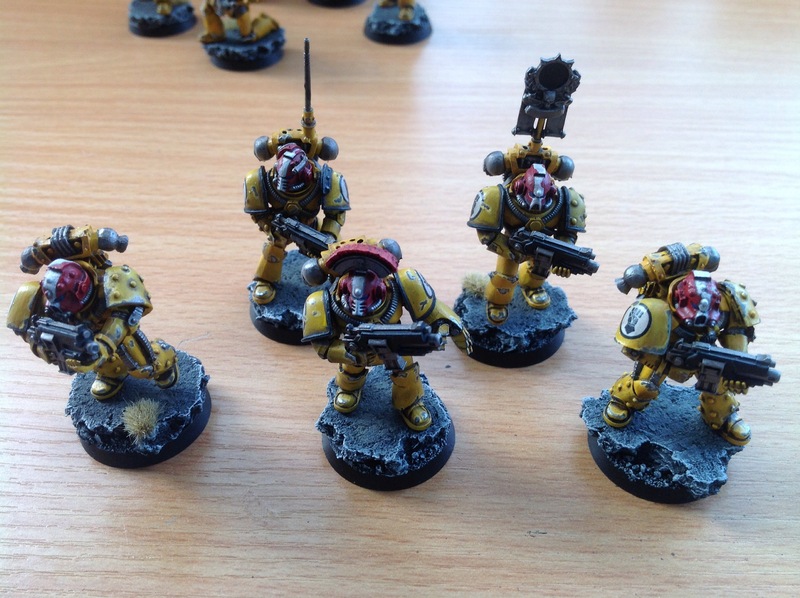 Yellow armour is hard enough to pull off but making it realistic and gritty too is quite the achievement. Keep up the good work!